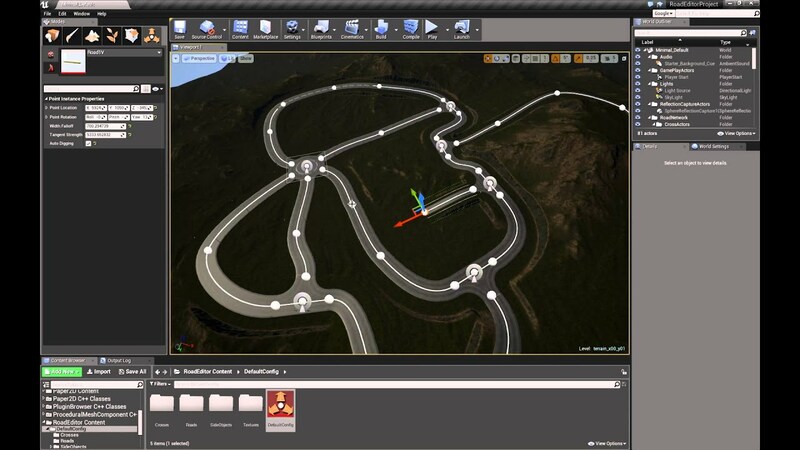 Road Editor is a plugin allowing level designers quickly edit a road network during level design. 18 Meshes for starter content (4 side objects), fully textured (except extrude for your landscape material) and 5 LODs for each mesh. A default road network configuration for example. For any issue or request, post in this thread. you're not gonna get **** from these guys. You just wasted your cash. Purchased studio version last new year. There havent been any updates during this time. Quite robbed feeling since there is no way to seek refund. Zero support for 170euros isnt acceptable. Not to forget that the homepage mentioned 4.19 update in news, but that never got released. There should be some ethics applied when selling content. Close the shop if no longer having any interest to support it. Completely agree. I've sent this scam artist 1000 e-mails. Somebody should purchase the source code and release the source code for free so the community can release updates to everybody. It's literally impossible to get in contact with the guy, so i doubt he would care at all. He deserves to be ****ed over just like how he ****ed over everybody who bought the plugin. The compressed file format is unknown or the data is corrupted. Yeah, when you add too much pieces to one blueprint, trying to move the splines is slowed down a lot. I am kind of frustrated with it, though. There are some features i wish it had. Yes, got the SnappyRoad which is very handy. Only bit worried if there is slow down in loadtimes when adding much pieces in open world, so mostly using it as extra/while testing own-made road piece meshes. I wish they would give at least some update to let us know if they are still active and working on version update(s) for studio version. They dont reply to any friendly messages. UE4.19 have been up for 3months and hard to believe it would take that long to update the plugin unless there is some heavy additions coming. With source the update would take some minutes. 140 euros is quite a big investment. The plugin is definitely worth of it, but there also should be some basic support/info channel for that money. How they get more customers if not having the plugin up to date. Partially using blueprints now, but the plugin would be the most handy. I 100% agree with you. I'd love to get the source code, but it's not worth the money, because even if it we're updated to 4.19, you'll still be getting crashes, and you'll still be missing tons of features and fixes. SnappyRoads is a WAY better alternative. Doesn't use plugins, and is highly customizable. 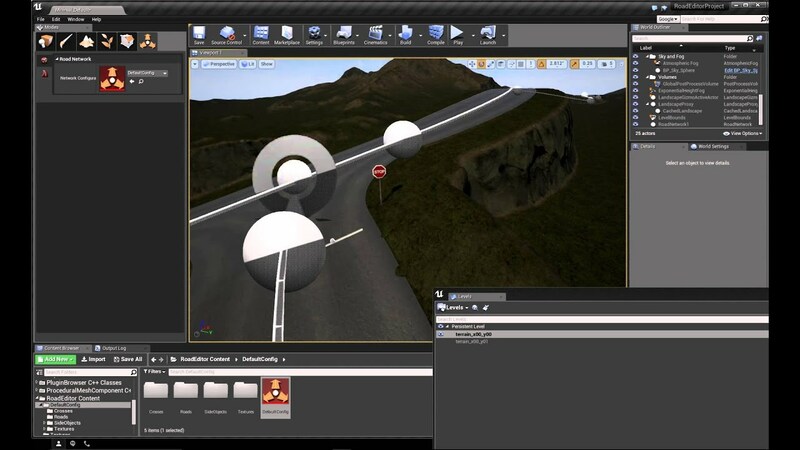 Only thing i wish it had was the RoadEditor's click on landscape to add roads, and the automatic intersection adding when you add a road to a new point, wich i think is awesome! But SnappyRoads has more features than this, and the support is awesome. You should try it. deleting nodes causes the editor to crash you lose your work, which makes it very frustrating to use this. I had to remove it from our project in it's current state. Nodes need to be able to be deleted, too many mistakes are made.. Please implement this fix when it is upgraded to 4.19. Thanks! These guys take MONTHS to upload, and NEVER talk to any of the community at all. Not even their own customers. Hi, please update this plugin to 4.19/ I really need to upgrade my project, but i can't, because this plugin is needed very badly.